When it comes to holidays, everyone knows that it is far too easy to over-indulge in terms of food and drink and to laze away the days. While we all need a good amount of relaxation on holiday, if we do not also look after our bodies while we are off work or out of the country, we could end up going back to work feeling worse than when we left. This applies to children as well – you want their school breaks to be fruitful, and so, for their sakes as much as anyone’s, it is important to make sure you choose fit and healthy holiday activities for all the family. 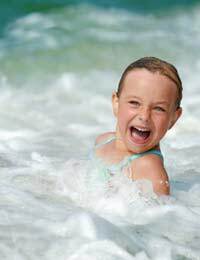 Many families’ summer holidays involves beaches, relaxing and soaking up the sun. All lovely ways to pass the time, but none of them particularly active. However, with a little forethought, it is perfectly possible to build in some fit and healthy activities as well to make sure that you and your family get the most from your holiday. If you are at the beach, swimming is the easiest way to put some fitness into your routine. Swimming in the sea, while not quite the same as swimming lengths at your local pool at home, can be a healthy way to pass the time, as can just playing with a bat and ball on the beach or in the sea. If it is too hot to walk far or do anything more strenuous, swimming and water-based activities provide the perfect opportunity to cool down and keep fit at the same time. Watersports such as water-skiing are also often on offer at holiday resorts and can provide memorable holiday moments as well as a good way of keeping healthy. Winter holidays tend to be more varied in terms of what kind of things families like to do, but because you do not have hot temperatures to combat, it can be easier to work some activities into your plans. The first type of winter holiday which many people think of is skiing, and therefore, that type of holiday does not really need any activity built into it – it is one of the healthiest holidays you can indulge in, as long as you keep your après ski activities to a moderate level. But other types of holidays may require a little more thought. However, if you are going on any kind of city break, the answer to finding healthy activities is easy – explore the city by walking around. Many cities do have extensive underground systems, but think of how many sights you would miss out on. Walking around a city is a far better way of getting to know it, and it means your family stays fit at the same time. Holidays at home do not have to be sedentary and spent in front of the TV either. Parents may be busy and at work themselves while children are off school but with a little planning and thought, there are plenty of fit and healthy activities for everyone to enjoy. Make sure your children are playing outside when the weather is good enough, as they are more likely to run around and keep active when doing this. If you do not have much time, make sure you plan one outing a week. It does not have to be overtly sporty in theme, although it can be. But you could have a picnic in the park and let the children play and run around. If your youngsters are more sporty, take them swimming, or to play tennis. If you are really short on time, then most local authorities run good sports programmes during school holidays which could even give your child the chance to pick up a new skill. Holidays can be healthy and fun – the two are not mutually exclusive. To avoid them becoming boring or repetitive, a bit of planning and forethought may be required. But children are naturally boisterous and energetic. The key to making sure you have a fit and healthy holiday is to harness this energy in a positive way so they have fun and keep fit at the same time.